"…in reading Jeff's book, I learned something invaluable: how to actually create that 'context' we have all heard so much about, how to make editorial instruction meaningful, engaging, and understandable, even for students who struggle." Some teachers love grammar and some hate it, but nearly all struggle to find ways of making the mechanics of English meaningful to kids. As a middle school teacher, Jeff Anderson also discovered that his students were not grasping the basics, and that it was preventing them from reaching their potential as writers. 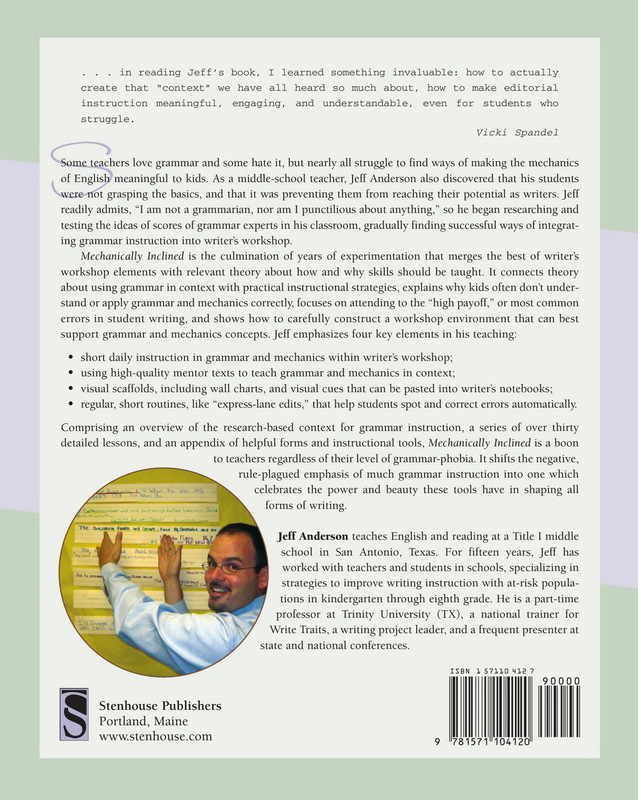 Jeff readily admits, “I am not a grammarian, nor am I punctilious about anything,” so he began researching and testing the ideas of scores of grammar experts in his classroom, gradually finding successful ways of integrating grammar instruction into writer's workshop. regular, short routines, like “express-lane edits,” that help students spot and correct errors automatically. 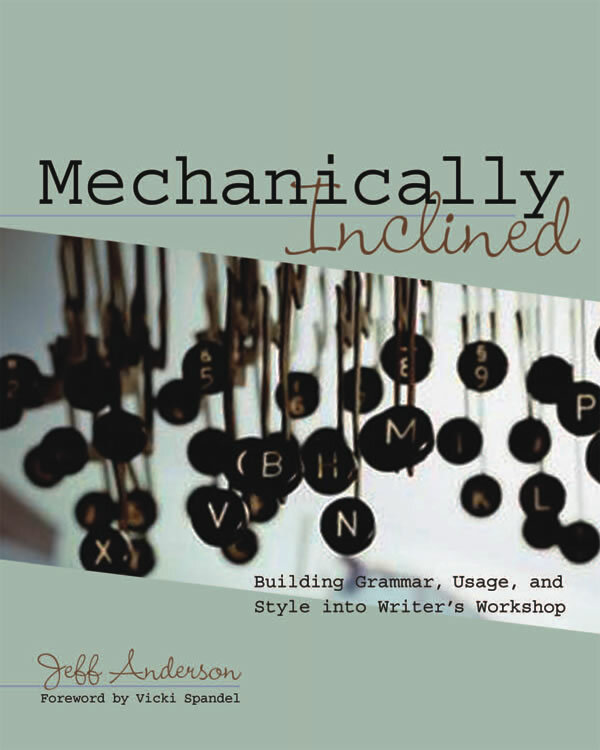 Comprising an overview of the research-based context for grammar instruction, a series of over thirty detailed lessons, and an appendix of helpful forms and instructional tools, Mechanically Inclined is a boon to teachers regardless of their level of grammar-phobia. It shifts the negative, rule-plagued emphasis of much grammar instruction into one which celebrates the power and beauty these tools have in shaping all forms of writing. Section 4: The Verb: Are We All in Agreement?